Just off the North End of Main St., behind the liquor store and past its adjacent parking lot, a large building sits vacant and still. 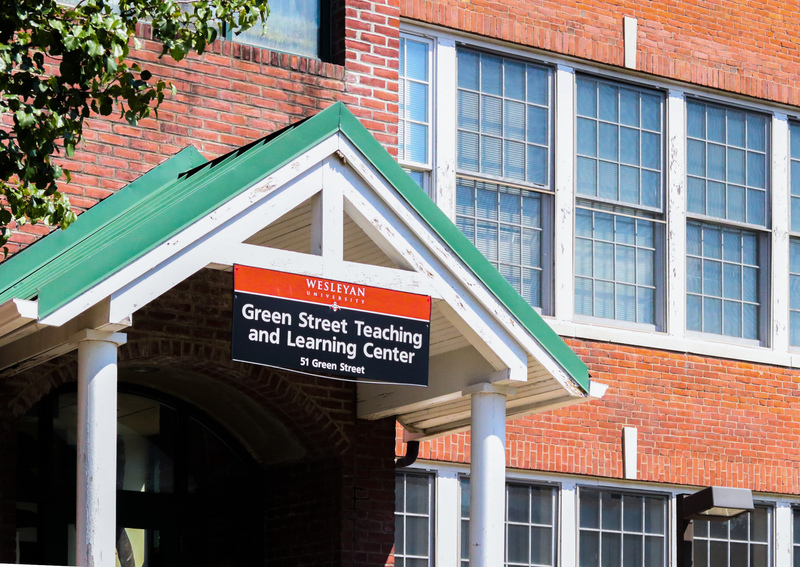 Above its entrance hangs a sign that reads, “Green Street Teaching and Learning Center,” serving as a poignant reminder of what the community has lost and a symbol of hope for what the North End’s future may have in store. 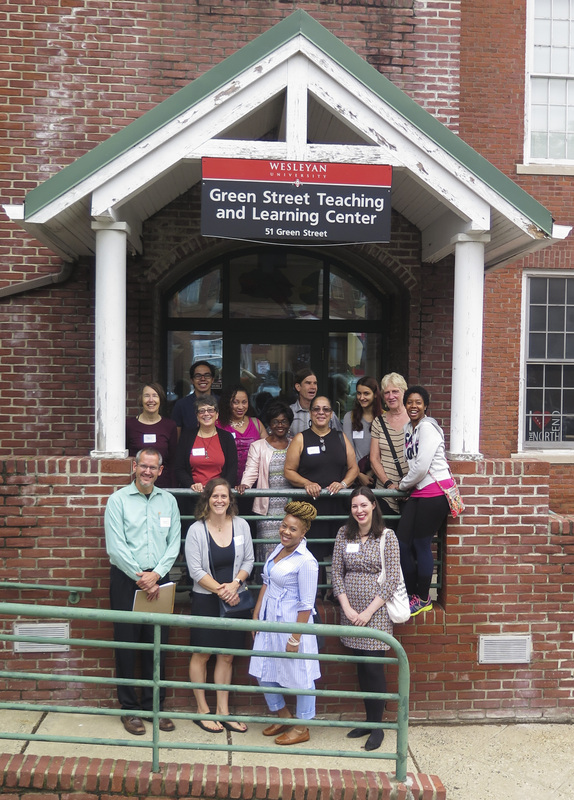 Green Street Arts Center, a University-funded community center which operated after-school education and arts programs in Middletown’s most impoverished neighborhood for over a decade, was shut down at the beginning of 2018 due to a lack of funding. Now, nearly a year after Green Street’s closure, the City of Middletown must decide what to do with the space. The Community Health Center (CHC) hopes to buy the building and turn it into offices. St. Vincent de Paul’s soup kitchen seeks to acquire the building in order to expand their operations and accommodate a growing patronage. But some residents of Middletown’s North End have a different vision in mind. 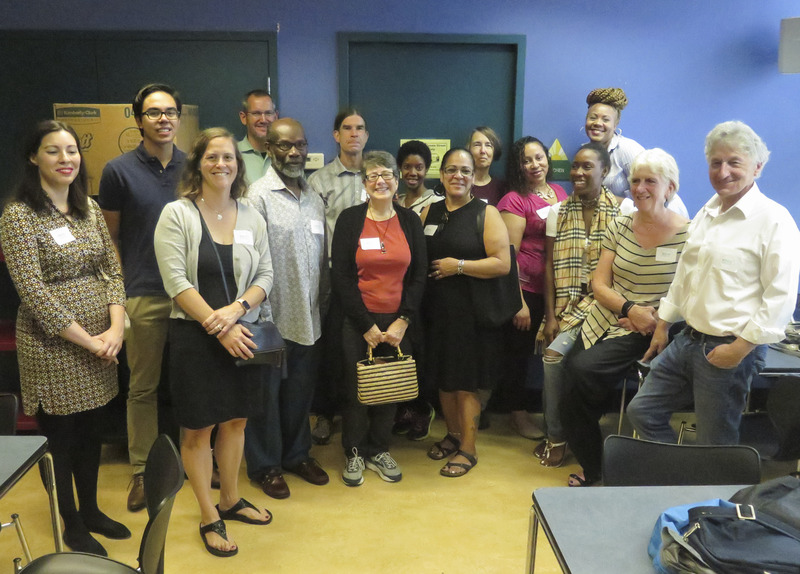 A little over a year ago, soon after the University had announced that Green Street would be closing, several community members gathered in the NEAT (North End Action Team) offices to discuss the future of the of the building and the future of the North End. It was then that the idea for the Middletown Green Community Center (MGCC) was born. Attendees of the meeting voiced deep sadness at the closure of Green Street, and wanted to do something: revive the community center, protect the future of the North End, establish a lasting organization that would provide people in the neighborhood with opportunities. But the organization that they envisioned, and ultimately forged, is different from the Wesleyan-run arts center that once occupied the space. “In order to run a sustainable, grassroots community center, which is what we are, you need to have more than just the arts, because arts funding is shrinking, year by year,” MGCC founder Jeff Hush ’84 said. Along with the arts, MGCC plans to incorporate health and technology into its programming, as well as expand its programming to serve Middletown residents of all ages. Hush is confident that expanding the Green Street vision will not only make MGCC eligible for a broader range of local and federal grants, but that the enhanced programming itself will open the center up to more community members and provide important opportunities for people looking to channel their passion and learn new skills. But none of this will be possible if the organization cannot acquire the building itself. Both of the other groups that put in bids for the building already have established funding and stable budgets. MGCC, on the other hand, cannot secure any substantial funding until it secures the building. Hush is asking the city to grant MGCC the same lease conditions that it granted the University while Green Street was still in operation, meaning it would rent the building for one dollar per year. On Tuesday, Nov. 13, a public meeting was held in the Community Room of the police department to help the members Middletown’s Economic Development Committee decide. Each of the organizations behind the three major bids was given an opportunity to present their case for why the city should grant them the building. MGCC’s presentation was third on the docket, following CHC and St. Vincent DePaul’s. The mic changed hands no less than five times during MGCC’s allotted half hour, giving people from every facet of the organization, from board members to educators to parents, a chance to explain why the center would be viable and important. Rob Rosenthal, one of the founders of the original Green Street Arts Center, began the presentation by speaking to the success of the former community center and highlighting how it changed the North End for the better. Firstly, he explained, it helped to stem a lot of disinvestment from housing in the area. Secondly, Rosenthal told the audience, Green Street had created a place where kids in the North End could go to interact not only with University students and faculty but with organizers and educators from across the region. Shanay Fulton, an MGCC board member and the parent of Green Street alumnus, emphasized how important this kind of exchange was for her son during his time at the center. The third major way that Rosenthal said Green Street enhanced the neighborhood was through the community pride that it instilled in North End residents. Hush echoed this sentiment, insisting that a community center should address the needs of the community, as dictated by the community. Hush also addressed and criticized the other bids, outrightly charging the CHC with perpetuating the opioid epidemic in Middletown, and claiming that St Vincent’s, despite its important contributions to the community, wouldn’t be capable of instigating the kind of development and opportunity in the North End that residents want to see. MGCC, he reiterated, is a grassroots organization, one which was created by community members themselves to address the challenges plaguing their own neighborhood. They know what the residents of the North End need because they are those residents. Hush paused for a moment and looked at the audience. All across the room, people shuffled their chairs, exchanged glances, and stood. Hush, practically glowing under the community room’s fluorescent light, flipped his long brown ponytail back towards his PowerPoint presentation, and beamed at the audience, at his neighbors, his co-workers, his friends, who comprised about 80 percent of the people in the room and who had come to support MGCC. Next, Banning Eyre ’78, a MGCC board member and senior producer of public radio series Afropop, spoke to his extensive grant-writing experience in the arts and humanities. The funding environments for the arts has changed over the years, Eyre explained, shifting its focus towards arts initiatives that promote social justice, initiatives similar to MGCC. After the presentation, out in the lobby of the police station, board members Tanjah Thompson and Shanay Fulton chatted about the future of the building and lamented the closure of Green Street. Fulton used to work in the hotel industry and relied heavily on the after-school program to take care of her son until she finished work. “We’re single parents, and when you’re a single parent and you have to work hard for your child, and there’s no building for them to go for after-school programs, they’re in the street,” Thompson said. Thompson and Fulton aren’t the only ones who still miss the community center. “The kids ask me ‘are we going to get the center back?’” MGCC board-member and former Green Street Arts Center leader, Cookie Quiñones, said during the presentation. The Middletown Economic Development Committee will have an answer for them by early January.